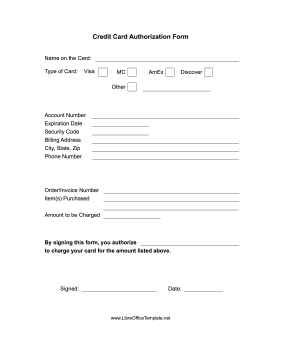 Businesses and lenders can use this printable credit card payment form with customers to authorize payments. This LibreOffice Template is easy to download and print. Just download one, open it in LibreOffice, edit, and print. If you don't see a LibreOffice Template design or category that you want, please take a moment to let us know what you are looking for.